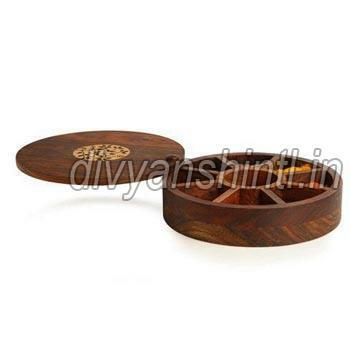 We provide supreme quality wooden incense box in the market. 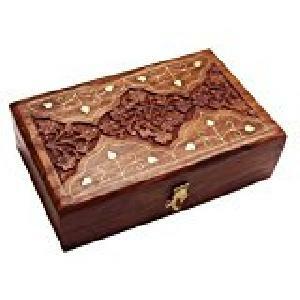 This range of boxes are crafted by our designer craftsmen by using finest quality wood that source from trusted and authentic vendors of the market. 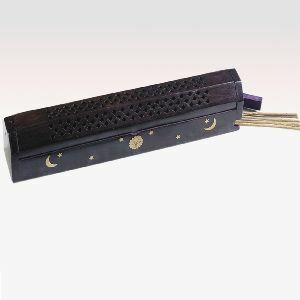 It has many compartments which can be used to keep worshiping items such as incense sticks. 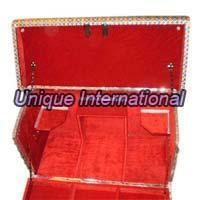 We provide this range of product at most reasonable prices. 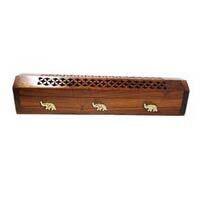 Our Wooden Incense Boxes are in wide demand in the market due to durable structure and intricate carvings done on them. 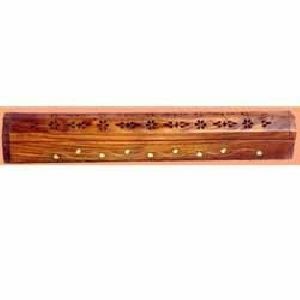 Incense boxes sheesham wood brass inlay Code No : ME 633Size : 12 x 2.5"
1. very beautiful agarbatti holder. 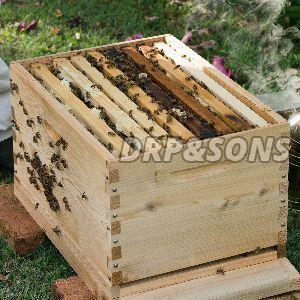 2. must buy product 3. the product looks same as in the pictures shown ab0ve. 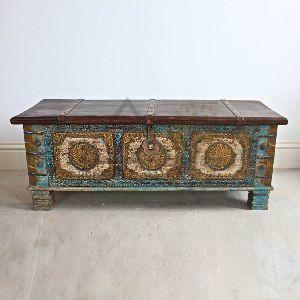 4. very amazingly made with wood in net inlay with drawer. 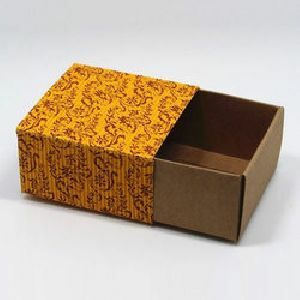 5. looks fabulous wherever you keep it. 6. 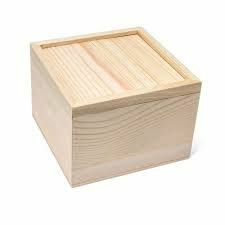 Best used for meditation purpose. 7. 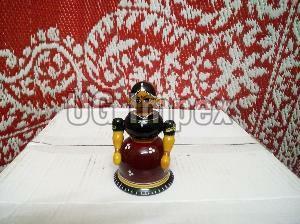 Nice fragrance difuser. 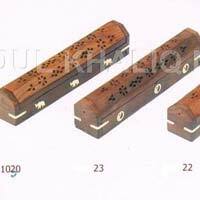 We are considered as one of the most illustrious Wooden Incense Box manufacturers and exporters in India. 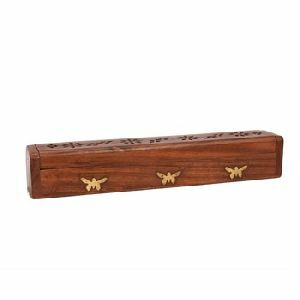 Our carved wooden incense box is manufactured from premium quality wood as a result they last for a longer period of time. 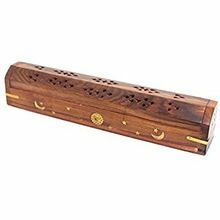 We offer our wooden incense box at the most reasonable prices. 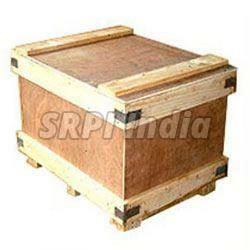 To enquire about the desired product(s), just check the box and then click â��Enquiry Nowâ�� button which is provided below. 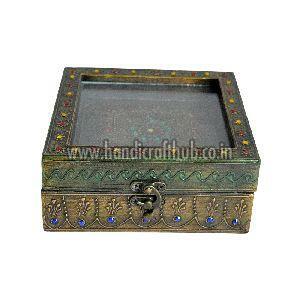 We present to you wooden incense box that has attractive look, which makes it an appropriate decorative item. 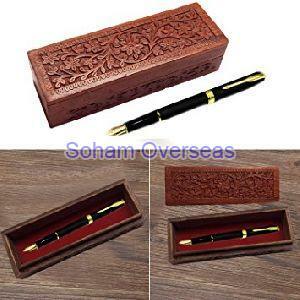 It has superb finish and sophisticated carving is done on it. 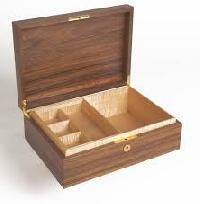 It is made of best quality wood ensuring its premium quality and durability. 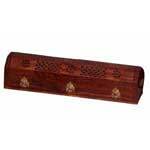 We are offering good quality wooden incense boxes. 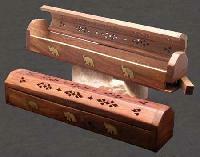 These incense boxes are having carving & brass work on it surface, which is very attrective. 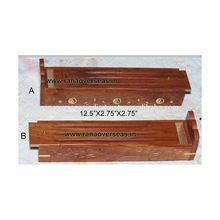 It's good quality of shisham wood for using box.. Colour brown. 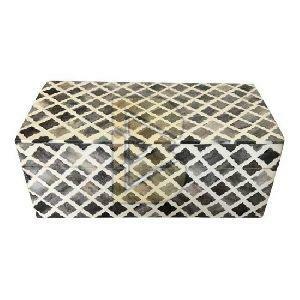 available more brass design. 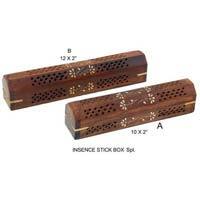 Incense holders & stands product code : ihs - 392 available in many designs and sizes in various materials. 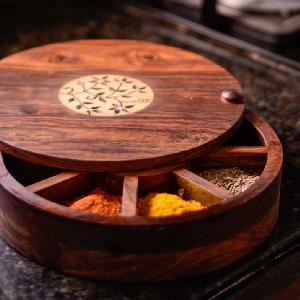 Having years of experience in this domain, we present a qualitative range of Wooden Incense Boxes from Gujarat, India. 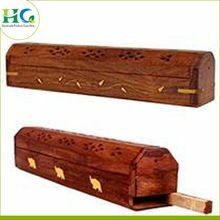 The company is backed by a team of professionals to come up with the wide gamut of Wooden Incense Boxes in different size, shapes and grades. Thanks to our brilliant logistics network that make us capable to address urgent and bulk requirements. 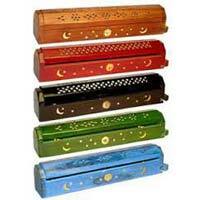 We are counted among the leading Exporters and Suppliers of Wooden Incense Boxes in Delhi. 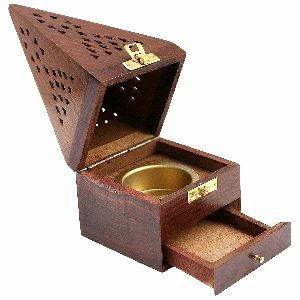 The Wooden Incense Boxes are procured from the highly trusted vendors and manufactured and offered to the clients on a timely basis. 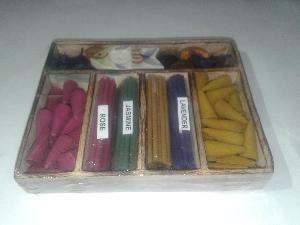 The Wooden Incense Boxes are available at the market leading prices with a guarantee of quality.